In our most recent employer data collection efforts, we discovered many fascinating insights. One of those being the importance of understanding and managing your member ratio ― the number of members enrolled for every employee enrolled. 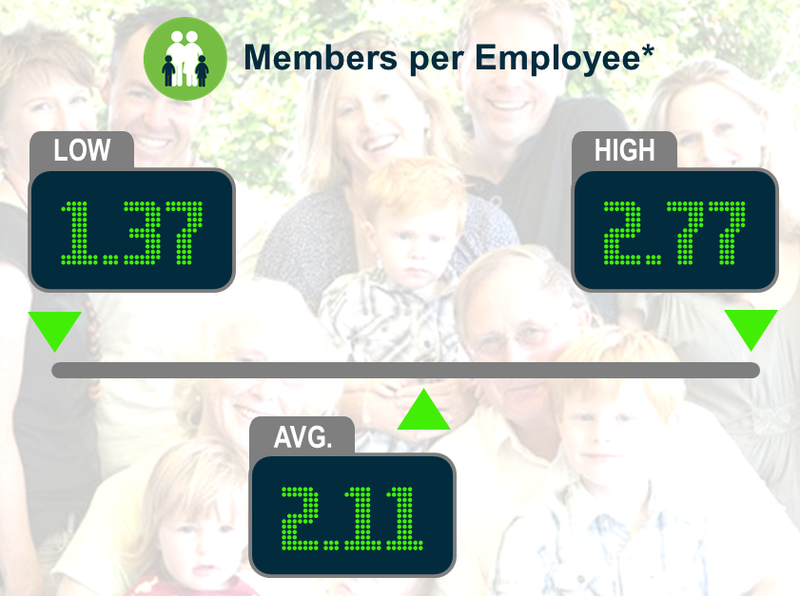 The data showed a strong correlation between the member ratio and per employee per year (PEPY) health plan costs ― about $500 for every 0.1 change in the member ratio. A high ratio may be the result of plan design, ineligible members enrolled, or just a factor of your plan’s demographics. Understanding your member ratio, the root cause, and how to manage this number is critical to controlling plan costs. How does your plan compare? Let us know if you would like to gain more insight into this spend and ways to manage costs.